Yesterday was another o7 Show and another Stargazing with the Stargazer clip. 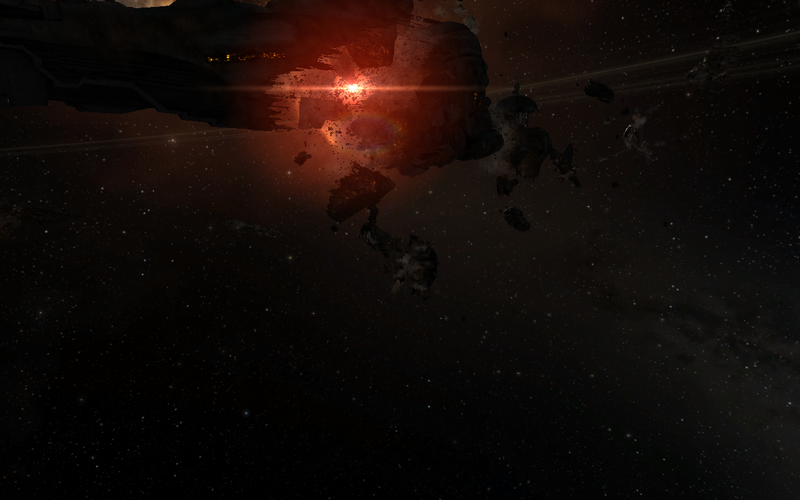 This time I decided to cover a site that made its way into Eve lore because of the players – Titanomachy. Titanomachy is the graveyard site created in the system of B-R5RB on the 31st January 2014 following the 21 hours of fighting that ensued in the system on January 27th. The battle involved a total of 7548 unique characters, (6058 of those were in the system, 2670 occupied space at the same time), across 717 Corporations and 55 Alliances. By the end of it, 775 doomsdays were fired resulting in 74 Titans lost in the system, 12 Supercarriers, 356 Dreadnaughts, 109 Carriers along with hundreds, if not thousands more sub-capital ships, resulting in 11 Trillion ISK worth of ships lost. With such a monumental loss of ships and accumulated ISK being destroyed it seemed only apt that, as per the reading, that the site be remembered in history. After Episode 1 I ran a poll to decide what Episode 3 will feature – which, with a winning vote of 35%, will be Wormhole Space ! (Next closest was lowsec with 31%.) I’ll announce what sec of space wins with each of my corresponding articles here!